Last month in October 2018, all GCC stock markets were hit by negative monthly returns, except Qatar. 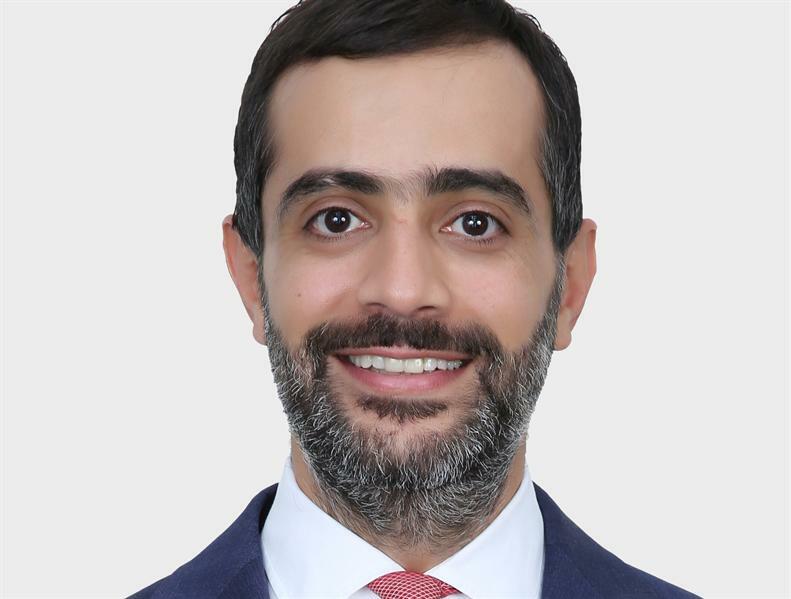 While Saudi Arabian equity market did see some foreign investors and asset managers pulling out money, the fall in Saudi market broadly coincides with the overall weakness across broader emerging and global markets, Marwan Haddad, Senior Portfolio Manager, Emirates NBD Asset Management, told Argaam in an exclusive on Tuesday. “As we get closer to the June 2019 MSCI inclusion date for the Saudi market, we would expect to increase our allocation to benefit from the technical boost,” he added. Q: Which are the markets in the GCC/MENA region you’re overweight and underweight on? A: Our investment philosophy means our positions are dictated by the number of attractive opportunities we find in each market at each level of risk. Even though the UAE market currently lacks a catalyst, purely on a fundamental basis it appears cheap and we are positioning ourselves accordingly. At the same time, after the recent sell off, Egypt offers some interesting options that combine growth and value propositions. As we get closer to the June 2019 MSCI inclusion date for the Saudi market, we would expect to increase our allocation to benefit from the technical boost. Our most obvious underweight is Qatar, as we feel the market has been mostly driven by technical rather than fundamental factors. Q: Last month in October, all GCC stock markets were hit by negative monthly returns, except Qatar. Is it because foreign investors and asset managers are pulling out money? A: While in the last month we have seen some foreign money withdrawal in Saudi Arabia, on the back of event-specific negative news flow, it coincides with general weakness across broader emerging and global markets. In reality, for the month of October GCC markets significantly outperformed EM and Global markets. While the MSCI EM Index lost 8.8 percent and MSCI World lost 7.4 percent, the MSCI GCC Index gained 0.4 percent and the S&P Pan Arab Index lost 0.5 percent, implying a monthly outperformance of 8-9 percent vs. MSCI EM and MSCI Global. Allocations to EM countries have reduced this year as they have been hit by a combination of current account deficits on account of rising oil prices, currency pressures due to tightening of monetary policy in the US, and fears around trade wars. While none of these impact GCC countries, due to them being oil exporters and having currencies pegged to the US dollar, they have suffered as investors have grouped them with other EM countries. Q: Coming to the largest market in the region, Saudi Arabia, what’s the trend you’re seeing for the Kingdom’s investors in terms of the asset focus – do they prefer equities, funds, real estate, or gold? A: Traditionally, Saudi investors’ preferred choice was real estate, which was considered a long-term store of value. That said, given weak real estate market conditions in the Kingdom, investors are increasingly looking to diversify across asset classes and geographies, with hard currency denominated developed markets being of primary interest. However, the level of diversification and asset selection depends on the level of sophistication, magnitude of AUMs and access to suitable advisors. While large family offices are well equipped (both internal teams and external advisors) to choose from a plethora of alternatives, the smaller sized investors’ preferred mode of engagement is with their banking partners and relationship managers. Additionally, Tadawul has traditionally seen significant participation from local retail investors. However, due to tough macroeconomic conditions weighing down sentiment we have seen them stay out of the market, which is clearly reflected in the drop-in trading volumes on the exchange. Q: Which has been the most popular asset pick for Saudi investors abroad? A: Traditionally, quality US, UK and other European real estate were preferred choices. However, given the diversification objectives pursued by Saudi investors, Shari’a compliant equities and Sukuk are increasingly forming a bigger portion of investors’ overall portfolio. For investors who are not Shari’a compliant, some alternatives (hedge funds, private equity and structured transactions) are generating substantial interest. Q: What’s your outlook for the Saudi Arabian market in the next 2-3 years looking through the current geopolitical and economic prism? A: While geopolitical risks are always a factor to contend with in emerging and frontier markets, the level of risk premium attached to Saudi Arabia has been particularly elevated over the last couple of years. Additionally, there was an added degree of uncertainty which was introduced to the equation on account of a major reform program, which looked to overhaul at its core the cultural, social and economic norms of the nation. While the actual implementation will continue for several years, we believe clarity is slowly starting to emerge and we anticipate overtime the risk premium to dissipate to traditional median levels. In the short term, MSCI EM inclusion is the most dominant theme, with Saudi Arabia set to account for a sizable around 2.5 percent of the index (without Aramco and potentially about 4.5 percent with Aramco later). Looking at the experience of other countries, we have seen strong performance during the 12 months before inclusion, with a pull back after the event. However, given other factors that have weighed down the market over the last few months, we expect passive and active inflows to not materialize till much closer to the actual inclusion date of June 2019, and potentially provide a tailwind afterwards as well. In our view, over the next 12 months, the most promising opportunities would be in the banking and petrochemicals sectors. Given the expectation of three rate rises next year we should see continued net interest margin expansion boosting earnings for banks. At the same time elevated oil prices should provide support to the petrochemical names. Looking further ahead, as the companies adjust to the structural shifts created by economic reform, we will expect to see winners and losers emerge. One of the key sectors that has been suffering is the consumer discretionary segment. As the underlying economy picks up and consumer confidence returns, we would expect to start allocating to the stronger names in this segment.